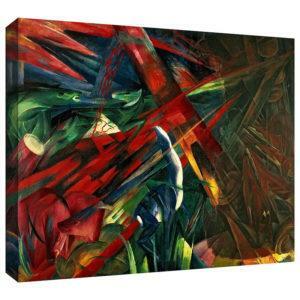 Franz Marc was one of the key figures of German Expressionism. Marc was born in 1880 in Munich, Germany and began his painting career at age 20 when he studied at the Academy of Fine Arts in Munich. During these studies, he traveled frequently to Paris where he discovered an affinity for the work of Vincent van Gogh, and influence you can clearly see in his paintings. As a founding member of Der Blaue Reiter (The Blue Rider), he created a journal that became synonymous with the circle of German Expressionist artists including Macke, Wassily Kandinsky, and others who split off from Neue Kunstlervereinigung Munchen, an avant-garde exhibiting society founded in Munich in the early 1900s. Today we are searching for things in nature that are hidden behind the veil of appearance… We look for and paint this inner, spiritual side of nature. 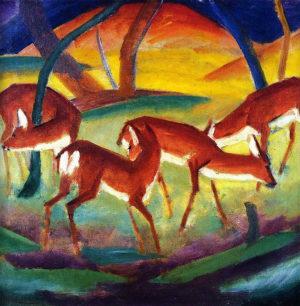 Shortly after beginning his career as an artist, the World erupted in War and Franz Marc was drafted into the German Army. After the German Army mobilized, the government identified notable artists who should be removed from combat for their own safety and to protect the country’s cultural legacy. Although Marc was on that list, before the orders to remove him from active duty could reach him, he was struck and killed by a shell during the Battle of Verdun in 1916. Tragedy continued to strike the young artist, even after he died. 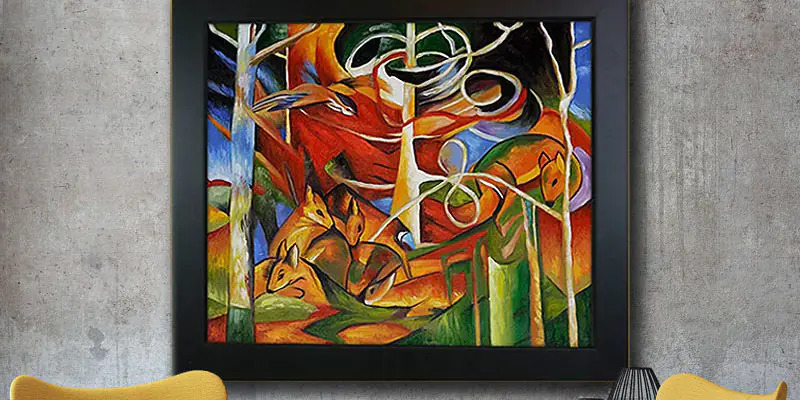 Years after his untimely death, the Nazis condemned the late Franz Marc as an entarteter Künstler (a degenerate artist) and ordered the removal of his artworks from German museums. Some of these artworks remained hidden for decades, others were never recovered. Franz Marc had a fascination with painting animals, and that showed in his mature artwork. 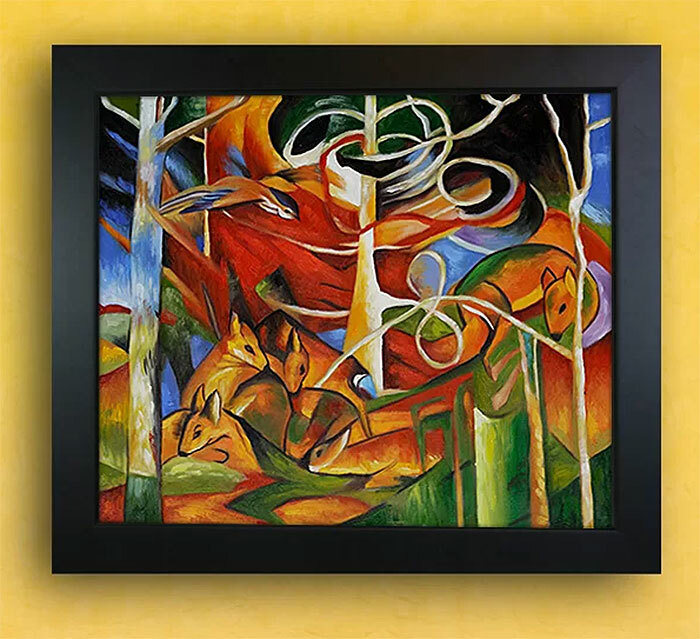 Many of his paintings prominently feature animals, often in natural settings. 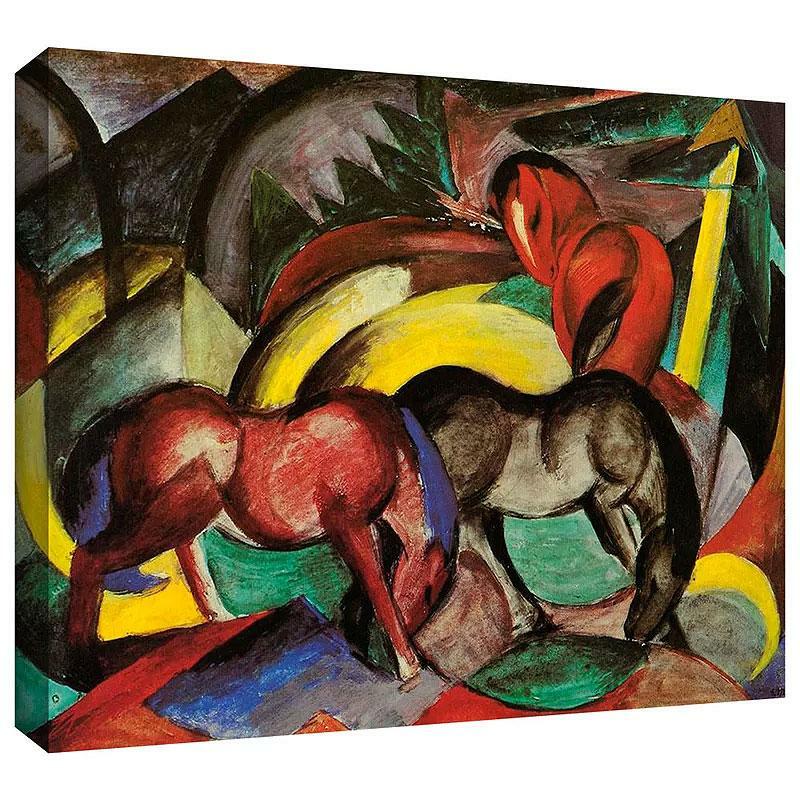 He used bright primary colors, an almost cubist portrayal of the subject animals and the surroundings, creating both a stark simplicity and a profound sense of emotion. 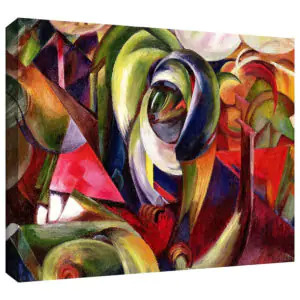 Marc was considered one of the leading artists for using colors to portray and emotional meaning or purpose. Yellow represented feminine joy, Blue was used to portray masculinity and spirituality, and red encased the sound of violence. 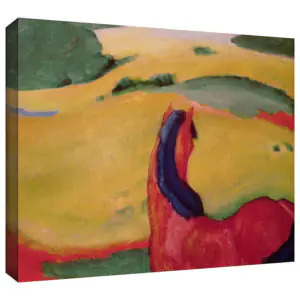 In total, Franz Marc’s mature painting career spans just over 3 years, starting when he helped found Der Blaue Reiter in 1911 and ending when he joined the German Army in 1914. 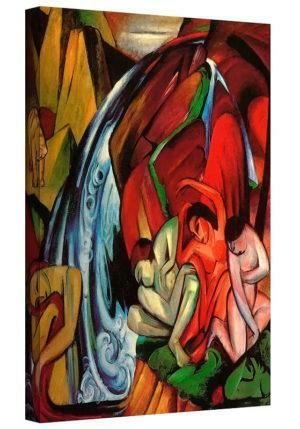 But his legacy has lived on for generations and has influenced several other art movements including Cubism and Fauvism. Perhaps the shortness of his career, the tragedy of his passing, and the unique expressionism of his artworks are part of the reason his artworks are treasured by many art collectors. 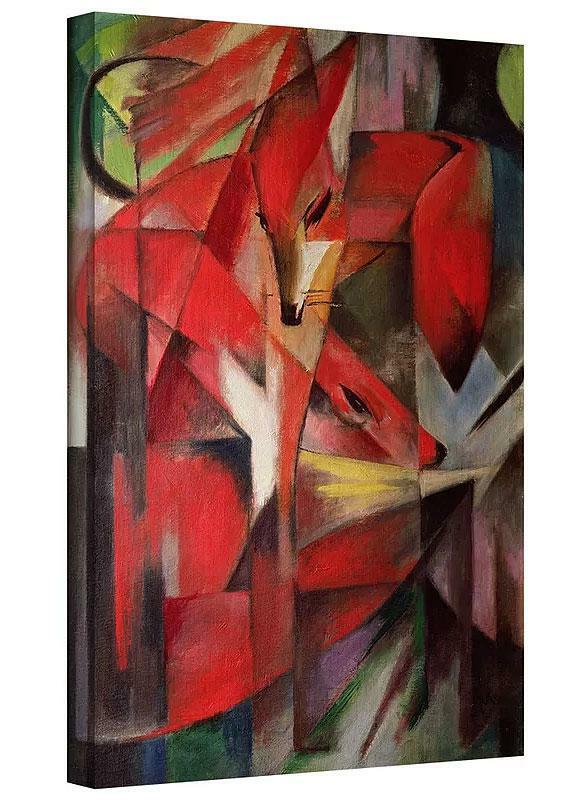 Several of Marc’s paintings sold for record prices at Christie’s art auction house in London, including Red Deer I (otherwise known as Rote Rehe I), which received a winning bid of $3.3 million. 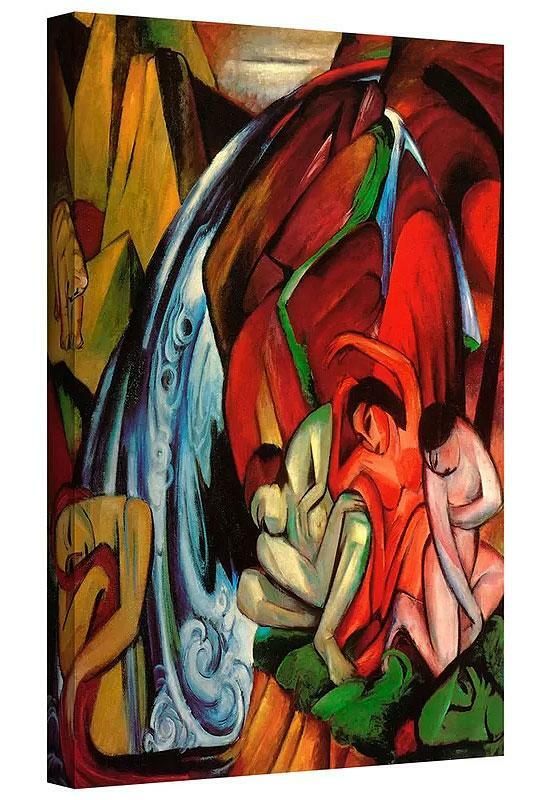 In October 1999, his painting The Waterfall (Der Wasserfall) set a record for his artworks when it sold for just over $5 million by Sotheby’s in London. His other important works include several throughout his short but impressive artistic career. 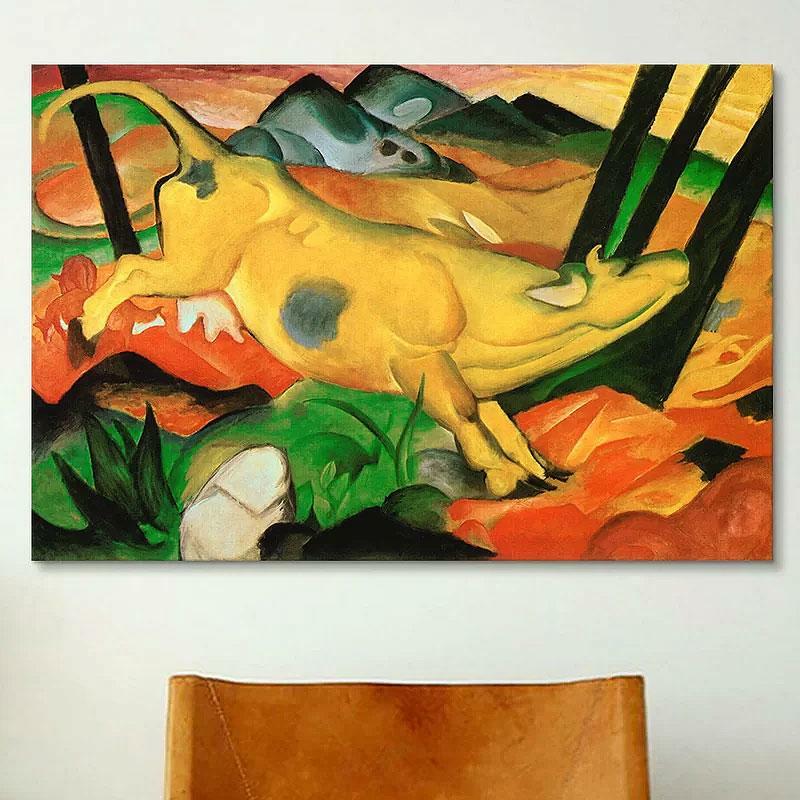 After his second marriage to Maria Franck in 1911, Marc painted The Yellow Cow as an homage to their union. Both through the composition and the use of color, the cow clearly represents the safety and security Marc felt in his new marriage. Marc built upon van Gogh’s emotional use of color, by using colors to humanize natural forms in the landscape, emphasizing his own interest in pantheism. This is something that is evident throughout most of his artworks. It is unclear what changed in the year that followed, but the calm, dreamlike world of The Yellow Cow, is replaced with a restless tension in The Tiger. 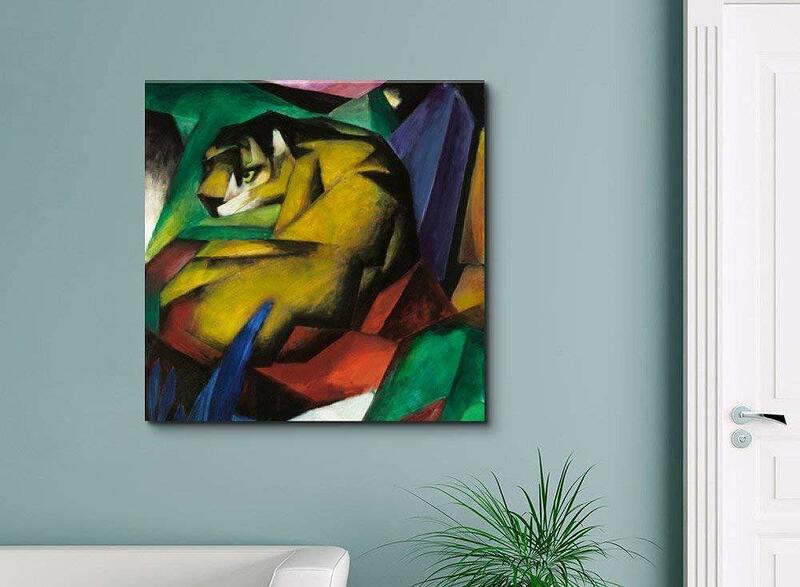 Marc depicts the tiger in a moment just before attack; with the tiger’s strength being represented with shards of color and acute angles, all the while being tightly constrained by bold, black outline. The surrounding space is similarly electrified, as if the tiger is on the verge of breaking out of whatever is restraining it. There is a clear sense of impending violence, which is in stark contrast to the calmness and security of his earlier work. As the world stumbled toward war, Franz Marc’s viewpoint on the relationship between man and nature began to falter. The Fate of the Animals is an apocalyptic vision seen through the eyes of the animals. The sharp angles and jagged shapes of the composition almost appear as a warning of what’s to come, as if the image serves as a premonition of the horrors of war. Marc shows the world being utterly ripped apart by man, from the viewpoint of the animals and nature that would be collateral damage. 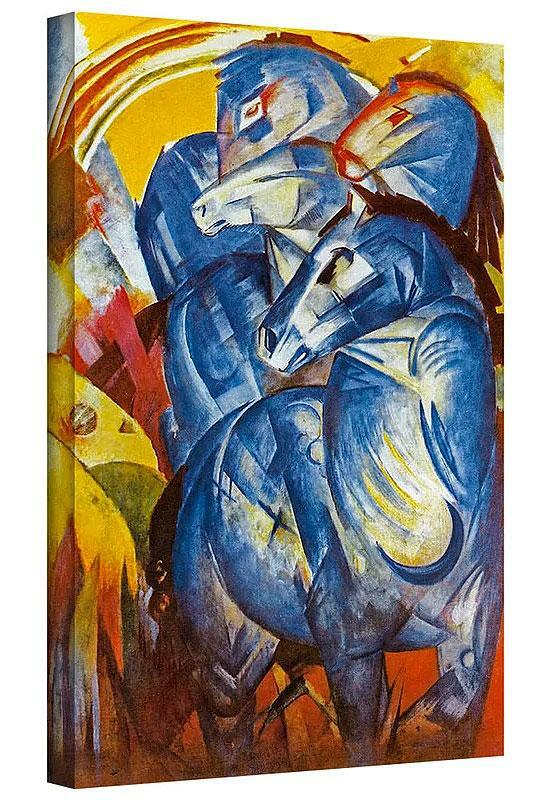 The Tower of Blue Horses is another example of Marc’s apocalyptic fears brought to life on canvas. 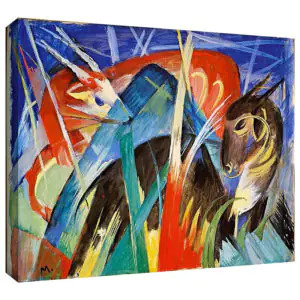 In this artwork, Marc portrays four blue horses, stacked one above the other to the right of center, facing the viewer but with their heads turned to the left as if suddenly noticing some impending threat. Some art historians believe that these horses represent the Four Horsemen of the Apocalypse from the book of Revelation. 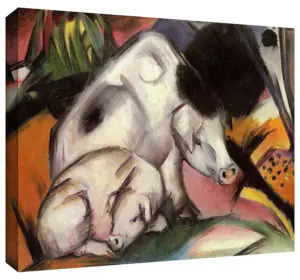 Others assert that the stacking of the horses was simply to allow Marc to repeat lines and shapes, which was a hallmark of his style. 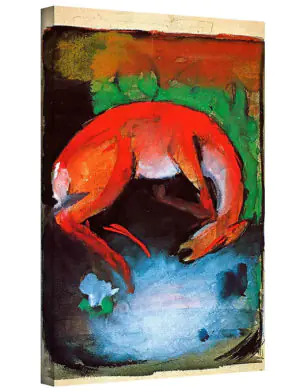 On the rear of the canvas, Franz Marc wrote, “Und Alles Sein ist flammend Leid” which translates to “And all being is flaming agony”. 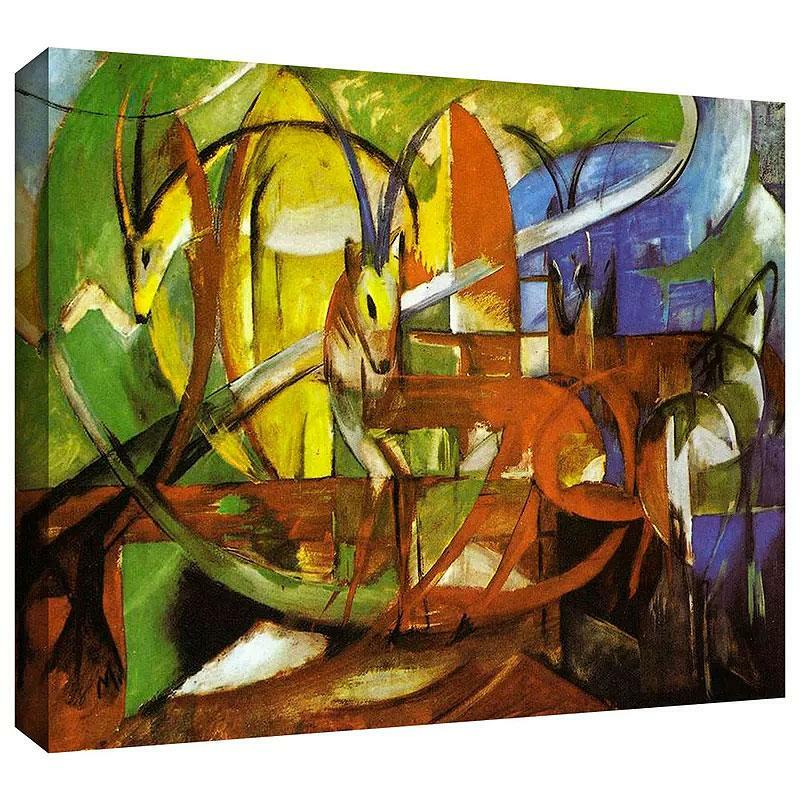 Before his death World War I, Marc wrote to his second wife about the painting. It is like a premonition of this war—horrible and shattering. I can hardly conceive that I painted it. The Tower of Blue Horses vanished without a trace after the Second World War, and the original has never been seen since. Broken Forms is one of Marc’s final works before joining the war effort that eventually took his life. It showcases his ultimate move away from representation in painting. It is clear at this point in Marc’s life and artistic career that he has become disillusioned with nature and animals. 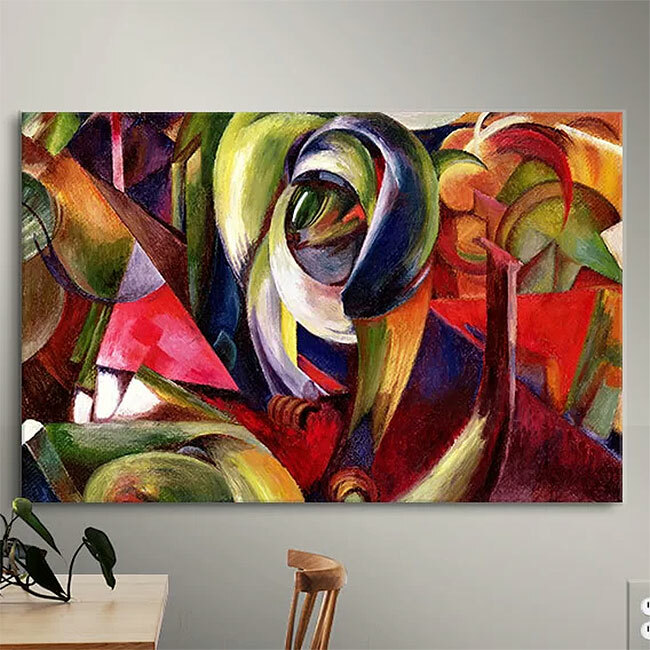 Now seeing them – what was once the source of inspiration in his artwork – as tainted, Marc had turned to the symbolism of color and abstract form. 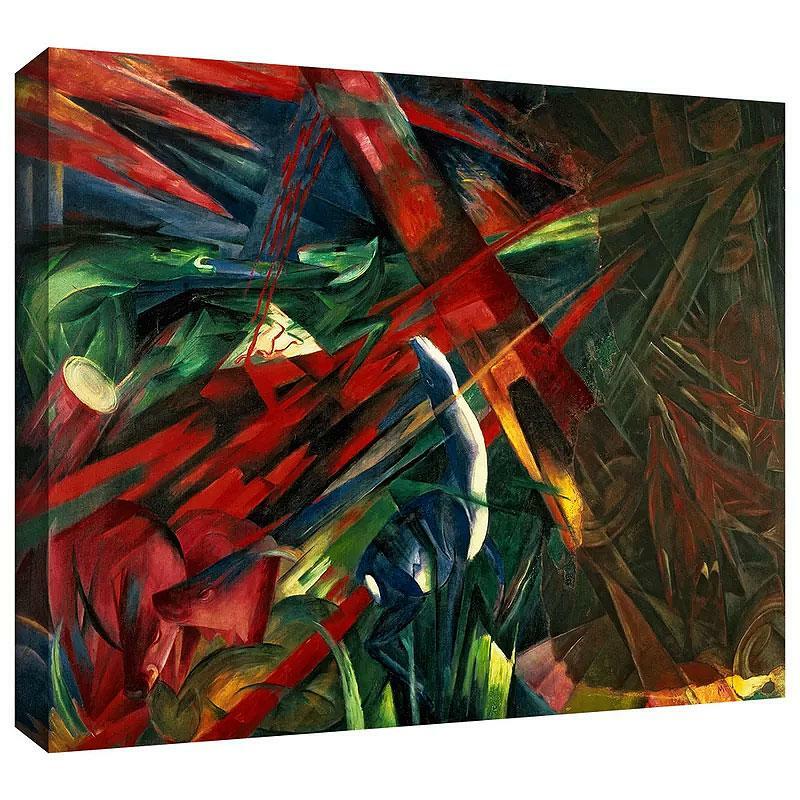 Although purchasing the original works of art maybe outside of yours (and most people’s) price ranges, you can enjoy the true beauty of a Franz Marc painting through these stunning canvas art prints. One cannot help but wonder what the next evolution of this talented artist’s career would have been if he had survived the war. But one thing is clear, his art and his artistic influence have survived and will continue to survive for many, many years.